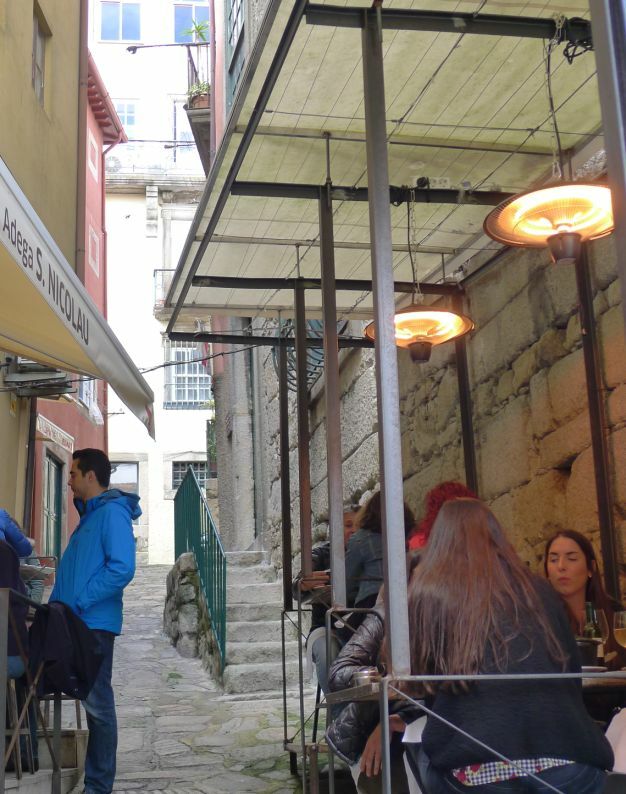 There are so many restaurants options in the Ribeira but most of them are so touristy and we definitely want to avoid them. 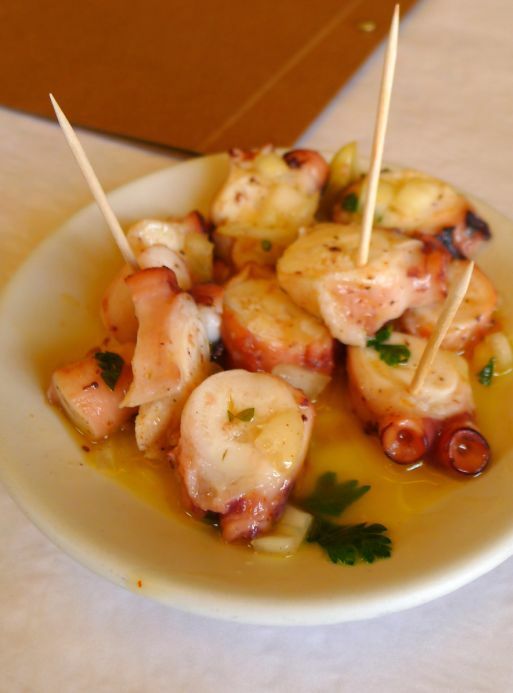 We want to eat where locals eat and we know for sure the food will be good. 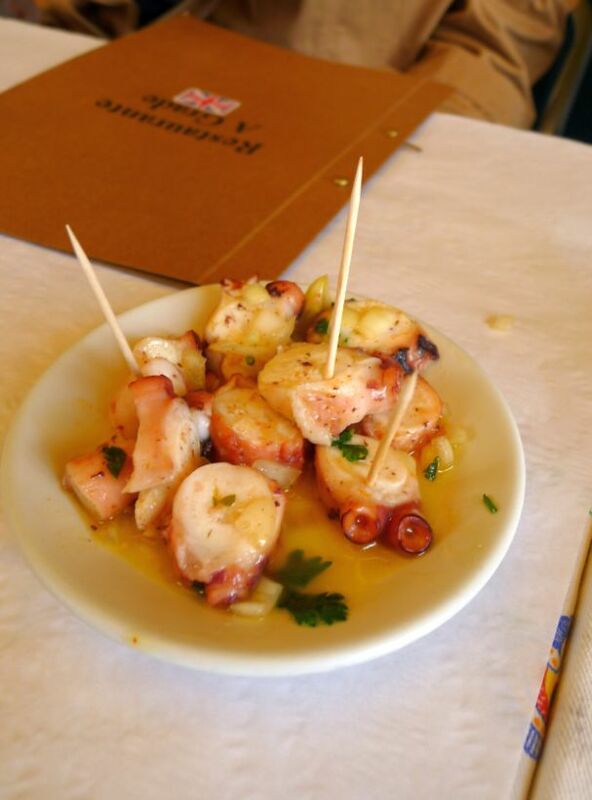 Rick Steves recommended a few restaurants and we selected 2 of them. 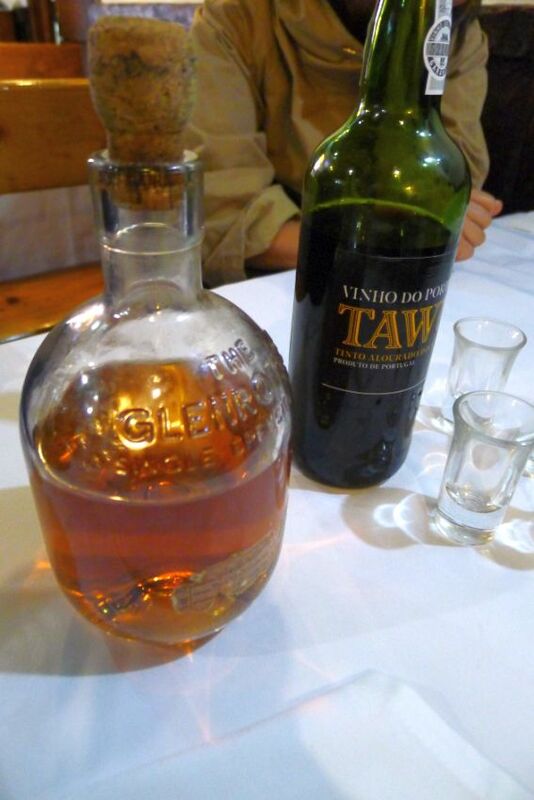 The first one is Adega Sao Nicolau and the 2nd one is A grade. 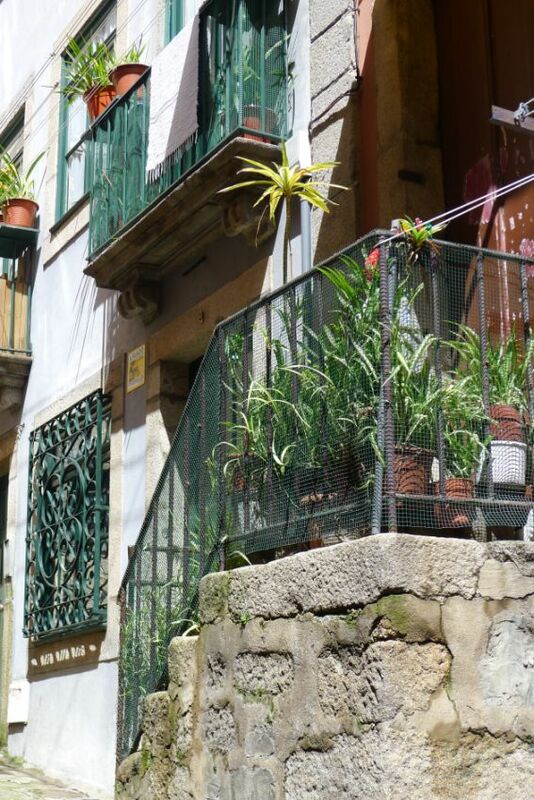 Both are located next to each other in a tiny little alley tucked away from the river. Unless you know where you are going there is no chance to stumble on this tiny alley. 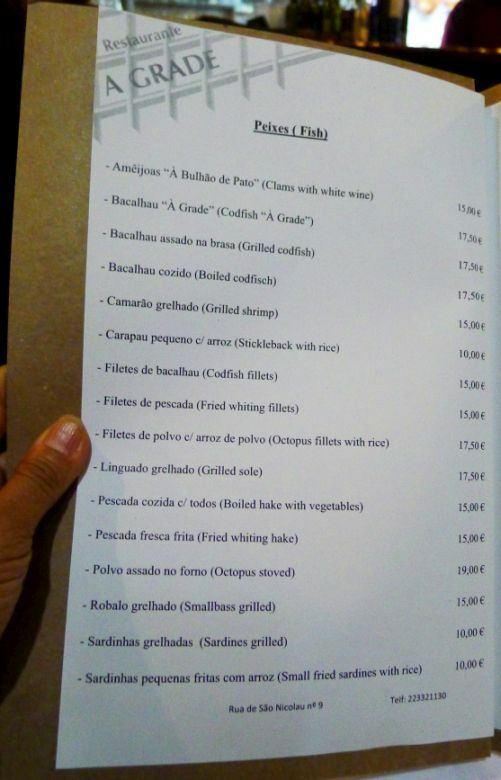 We stopped by Adega S. Nicolau without a reservation and they were completely full and could not accommodate us. 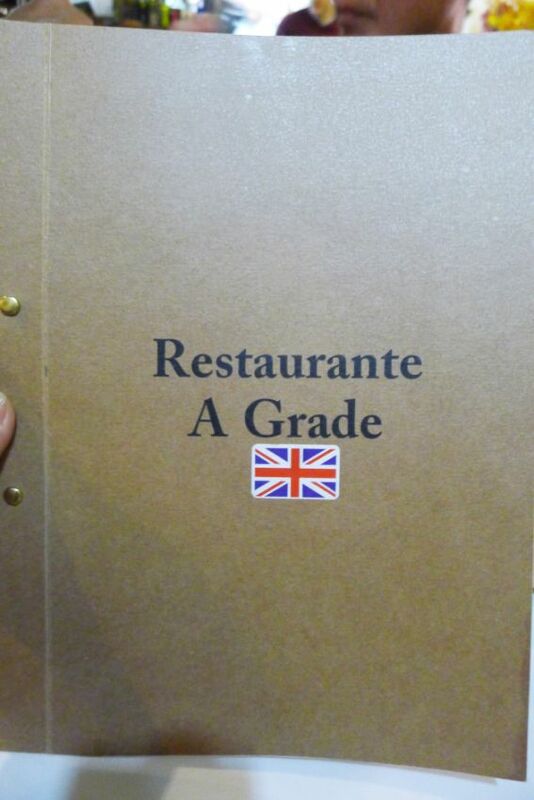 Good thing the restaurant next door A grade is also recommended by Rick Steves. 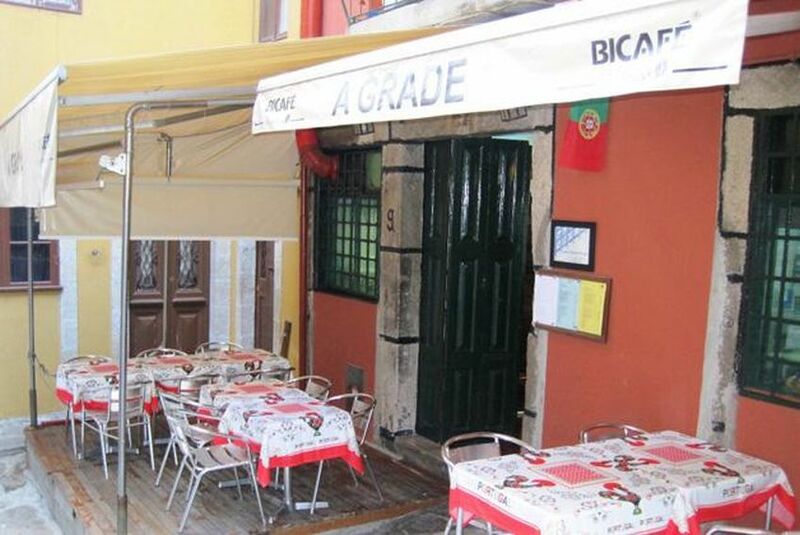 A Grade (the Grid is Portuguese) is a very small restaurant with a few outside tables. 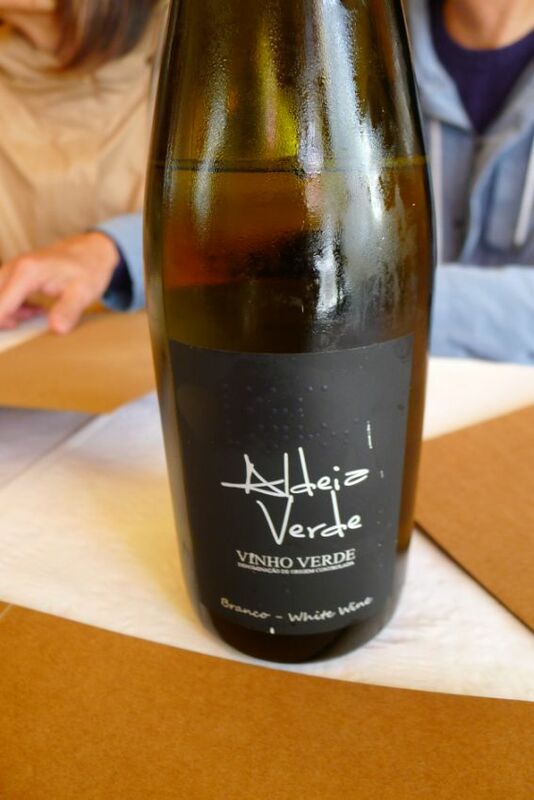 A Grade was also recommended by Le Guide du Routard, the French equivalent of Rick Steves. 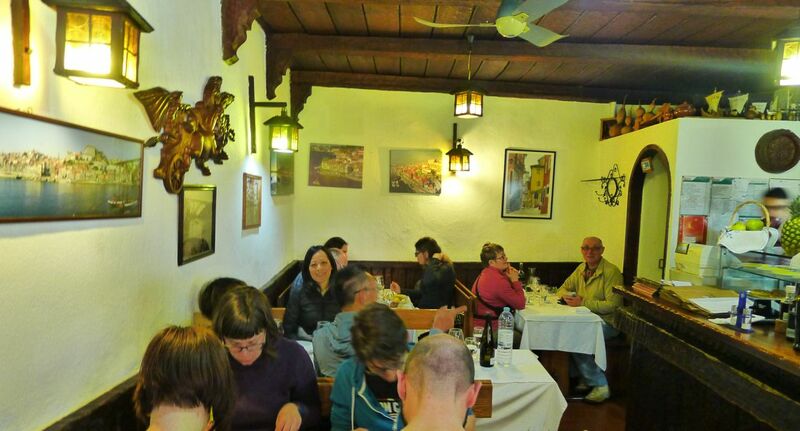 The interior of the restaurant is tiny and very tight. 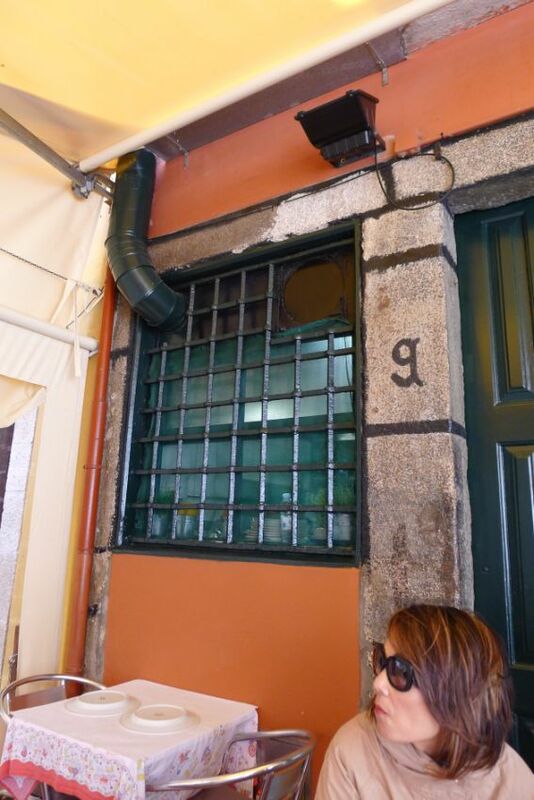 All the tables inside were taken so our waiter told us to sit outside until one of table in the inside becomes available. View of apartments in front of the street of A Grade. 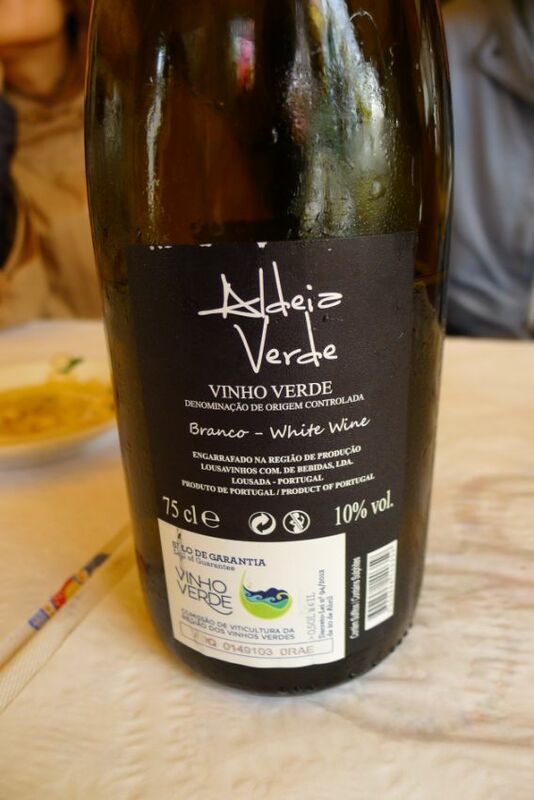 Chilled Vinho Verde- €10 - Really easy to drink and very enjoyable when it is super cold and Amazingly cheap. 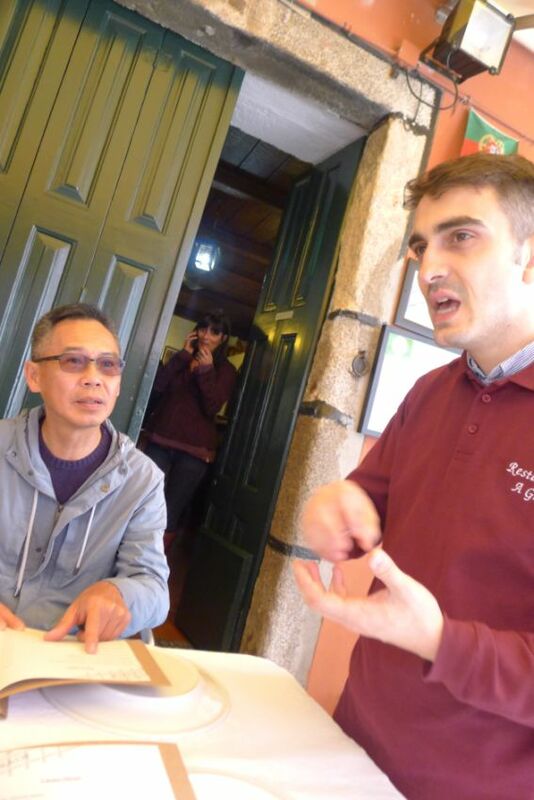 After maybe 15 minutes one table was available and we were asked to go inside. 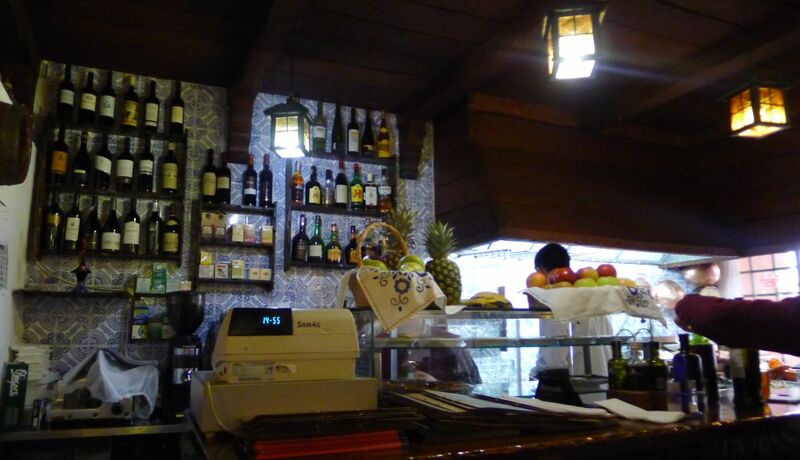 This is the bar/kitchen/and counter- the restaurant is really homey. 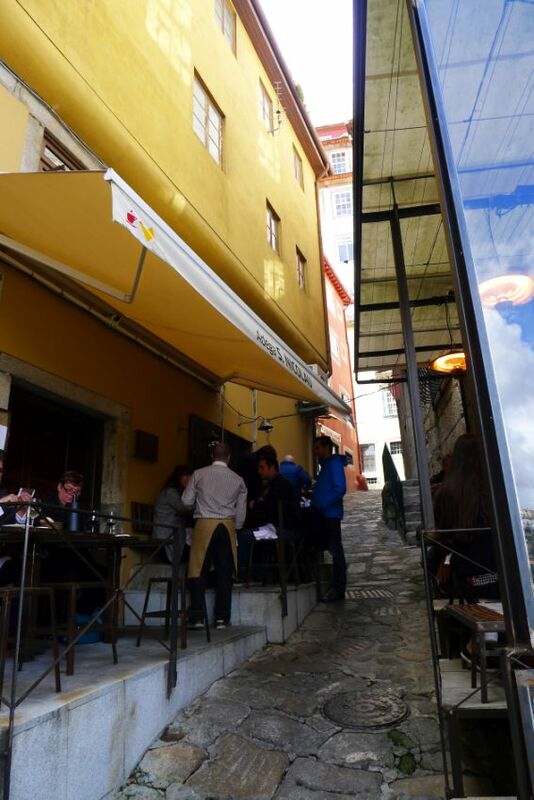 This the view from our table looking out to the street. 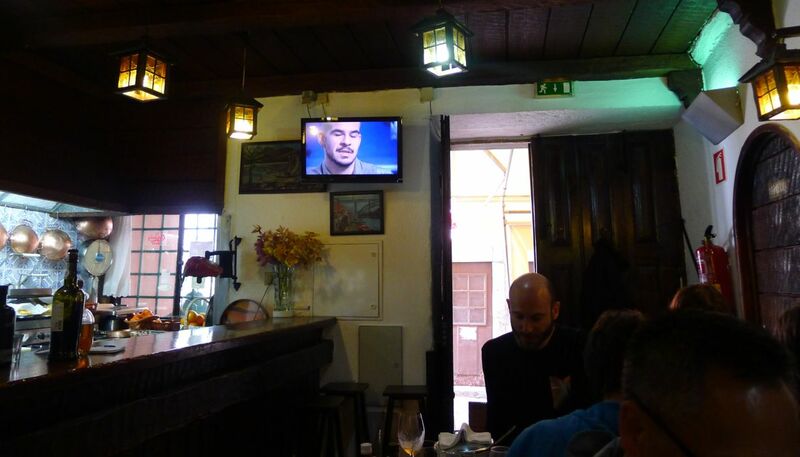 They only had a total of 6 tables- very small, very tight but very cozy and welcoming at the same time. 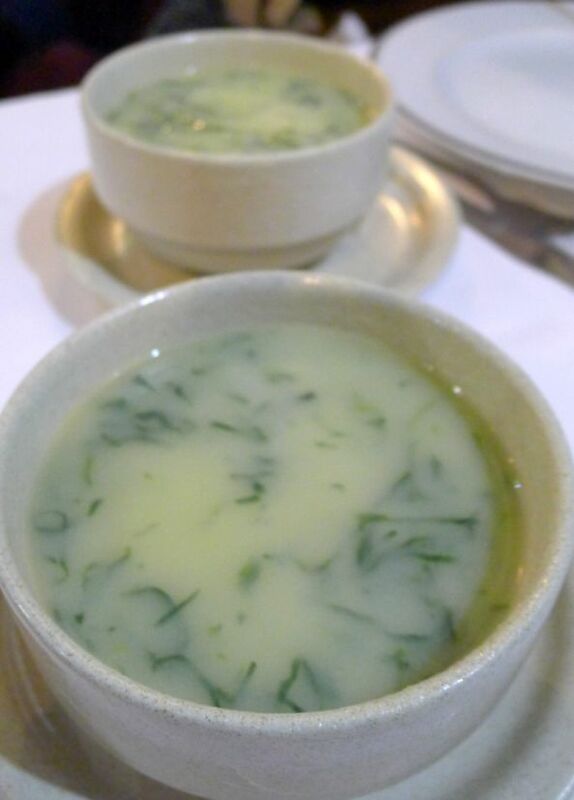 We started our meal with the Caldo Verde, the national soup of Portugal. 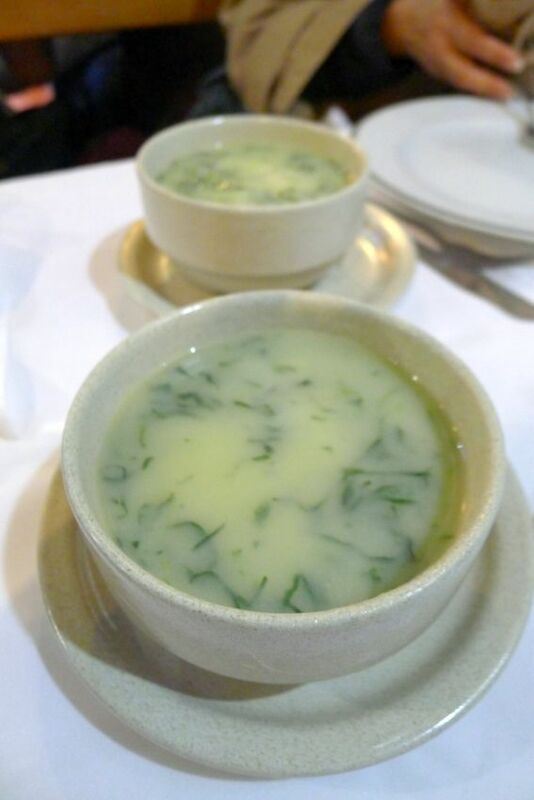 Made with potatoes and shredded Kale. It is actually delicious, smooth, and hit the spot. 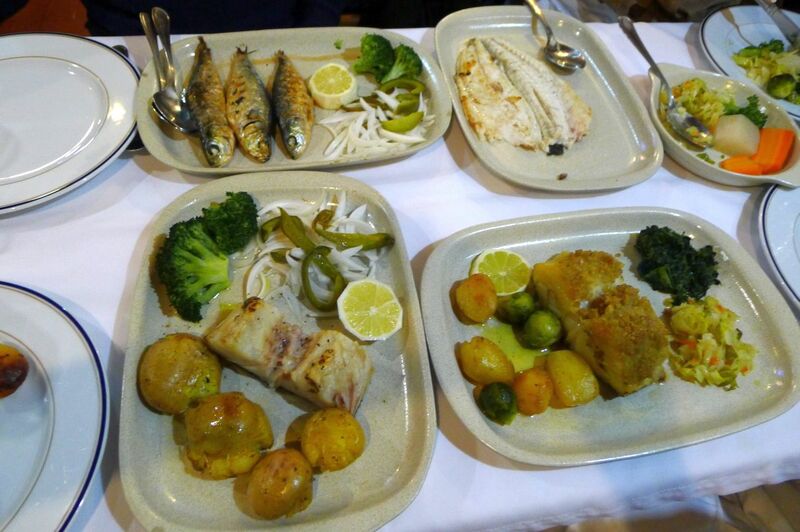 Bacalhau is dried and salted cod . 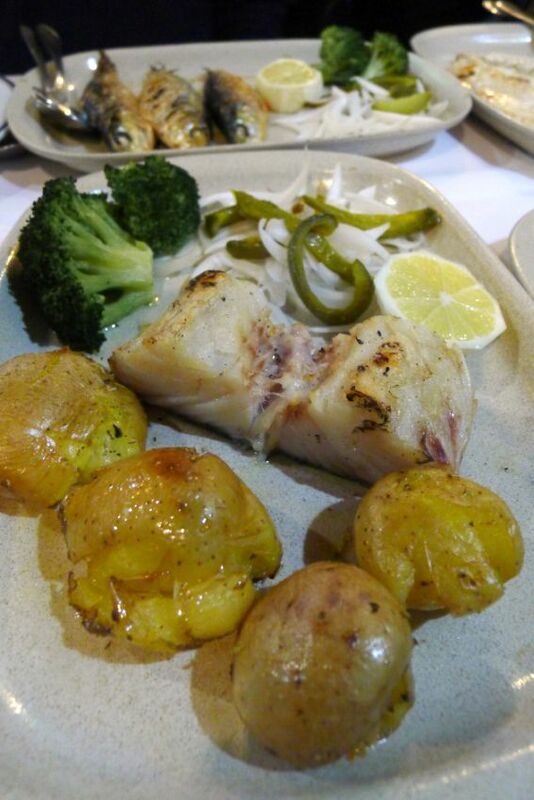 In Portugal Bacalhau is considered the iconic ingredient of Portuguese cuisine. 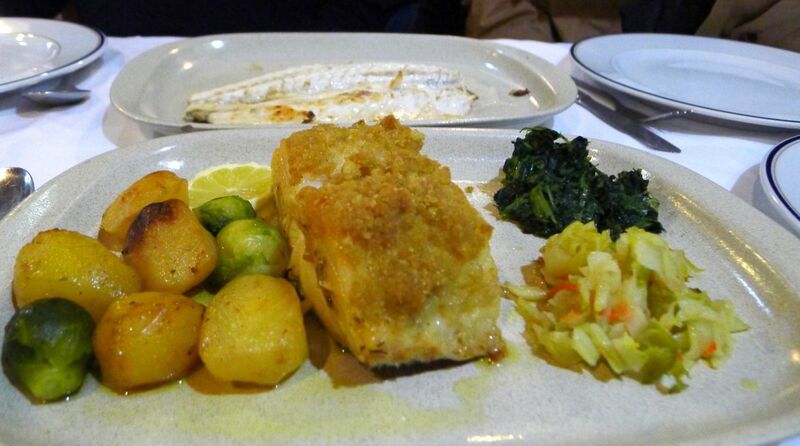 We never had bacalhau before so our server recommended we give it a try. 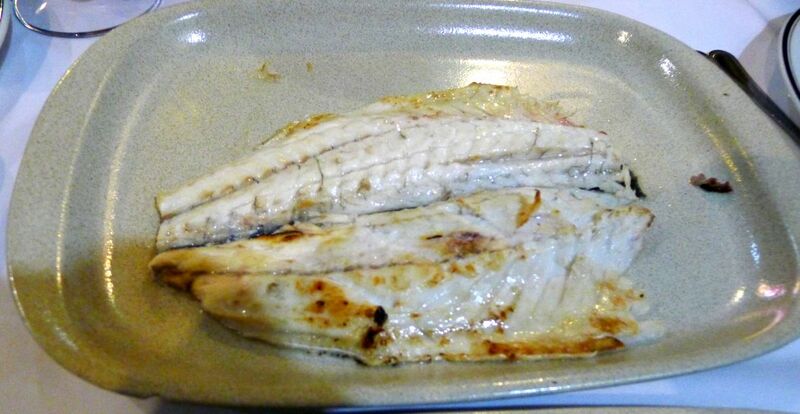 At first look you would never guess that this dry cod, it looked fresh, and very juicy but once you eat you can definitely tell it is not fresh fish-It has a strong fishy odor. 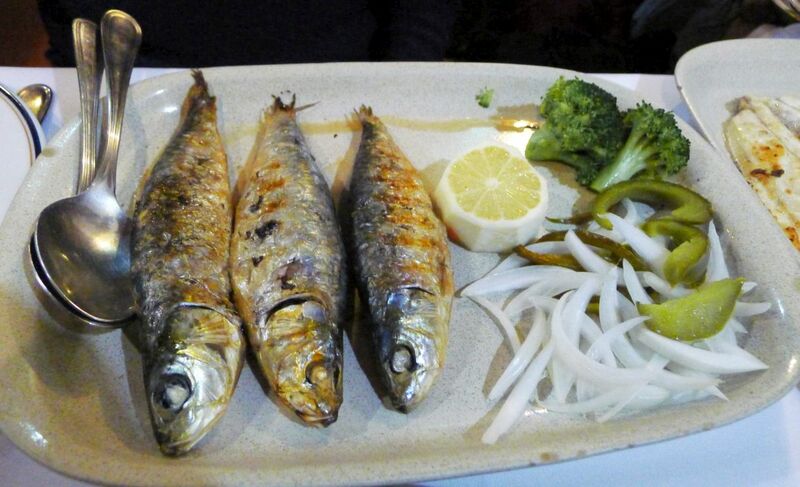 This fish was so delicious, you taste the freshness with each bite. 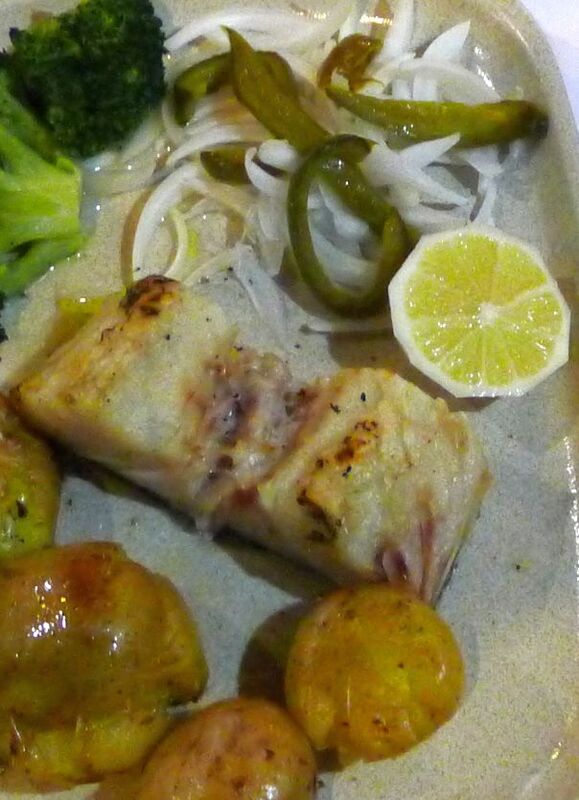 The best dish out of the 4 is the fresh grilled sea bass. 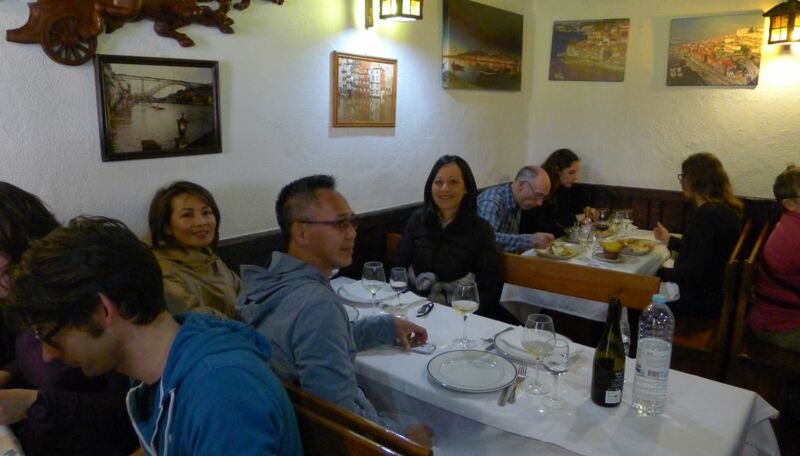 We agreed that Bacalhau is not for us. 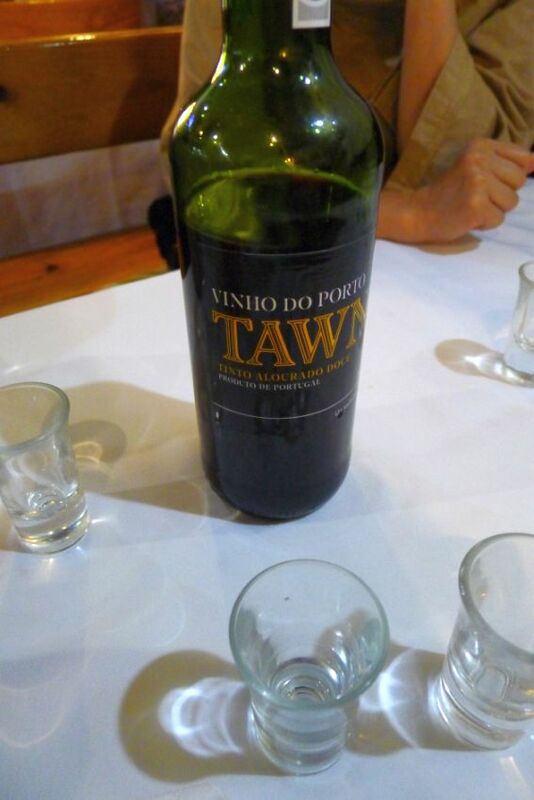 It has a very strong taste and we probably will not order it again but glad we had a chance to taste it. 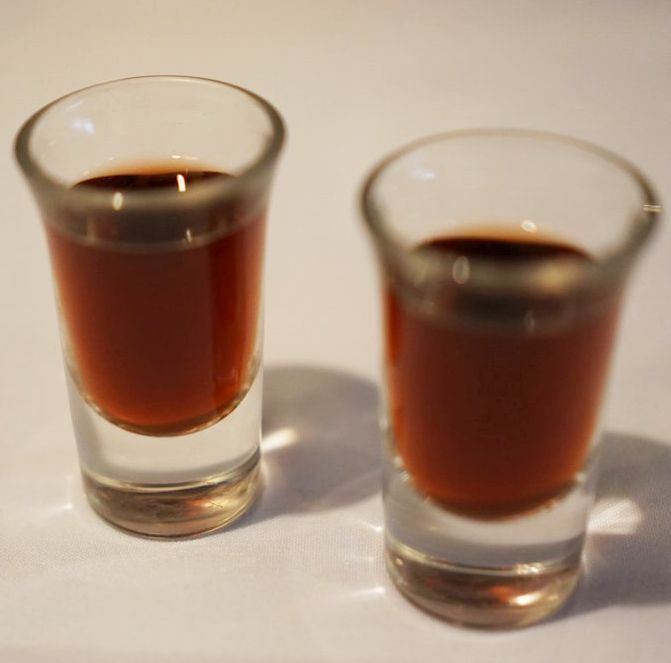 Port and homemade liquor are offered to us at no cost. 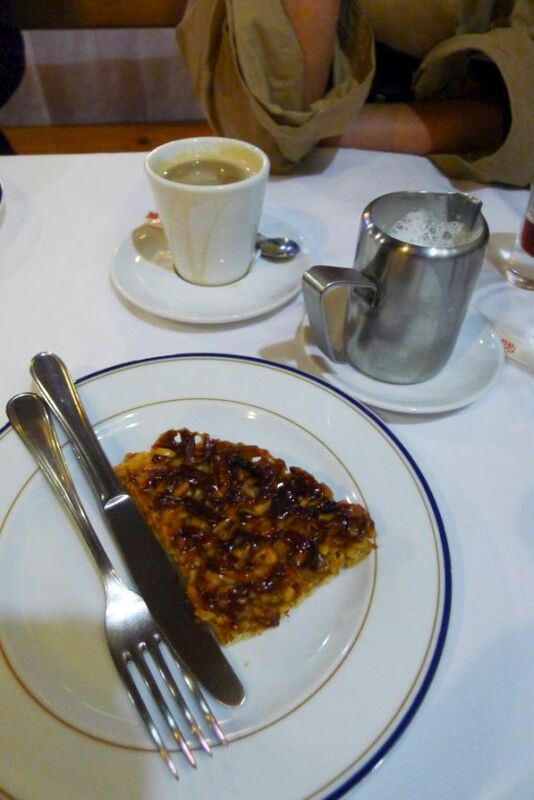 Another good recommendation from Rick Steves! 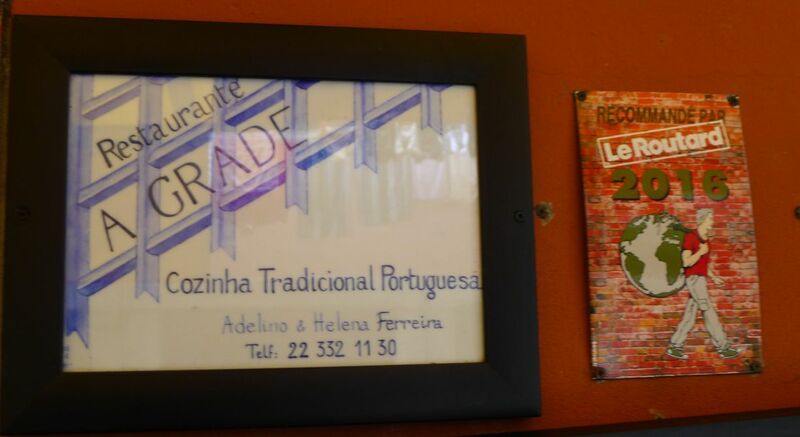 A Grade is a small mom-an pop restaurant that serves traditional Portuguese with a large selection of fish -very good service!